William Ray “Bill” Barlow, age 73, of Willisburg, passed away at 4:00 a.m., Friday, March 22, 2019 at his home. A native of Bourbon County, KY he was born on November 4, 1945 to the late Joseph Frank and Rose Vimont Swimm Barlow. 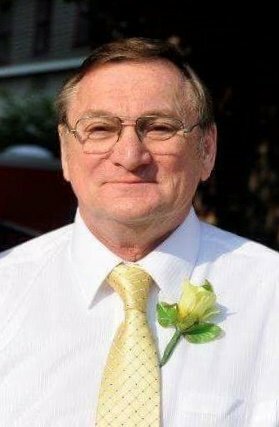 He was a member of the Willisburg Christian Church, a graduate of Bryan Station Senior High School and a retired medical equipment specialist at Baptist Health in Lexington where he worked for twenty-eight years. Preceding him in death was a grandson, Stephen Keith Tallant on May 22, 2018; a sister, Ruby Rutledge and a brother, Luther Barlow. Survivors include his wife, Kathy Gaunce Barlow; a son; Scott Barlow (Amy) of Willisburg; two daughters, Lisa Tallant (Keith) of Willisburg and Sherri Gifford (Brian) of Elizabethtown; fifteen grandchildren; a sister, Doris Tipton of Lexington; his mother –in-law, Helen Guance of Willisburg and a sister-in-law, Mary Beth Vice of Lexington. Funeral services will be held at 1:00 p.m., Monday, March 25th at the Willisburg Christian Church with Bro. Lance Ladd, the church minister, officiating. Serving as pallbearers will be Darrell McDonald, Drew Johnson, Devin Johnson, Ethan Barlow, Stephen Daugherty and Shane Stivers. Visitation will be from 4 until 8 Sunday at the Willisburg Christian Church.